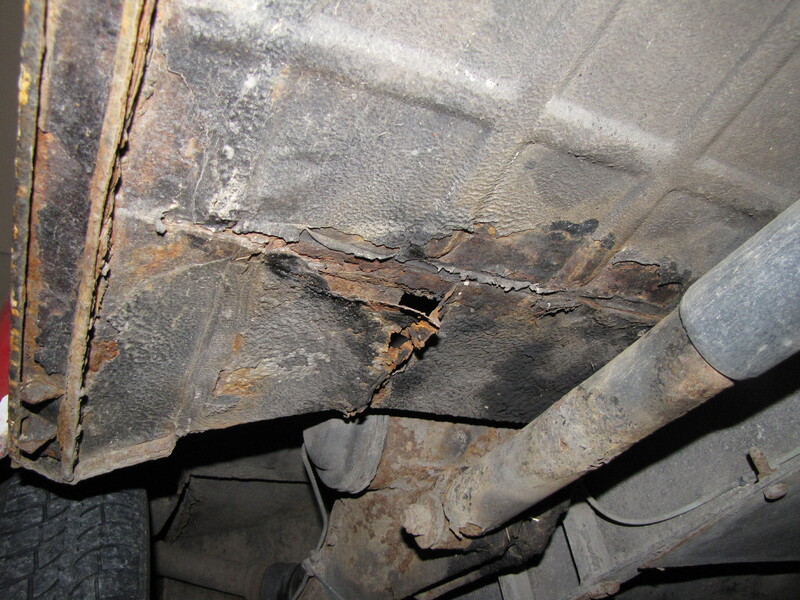 This Corrosion – making plans – HubNut – celebrating the average! Rust, rust, glorious rust. I’ve got loads of it. Or rather, my cars have. Let’s start with the Land Rover. It still needs various welding, but I won’t be sorting it. Tomorrow, it departs for a new life in Ludlow and an owner who can actually weld (and who does know that welding is definitely needed). It should be a fine stablemate sitting alongside his Austin 1100 and competing to see which one can leak most oil over his driveway. The incoming BX is hopefully a much more solid prospect. But that still leaves two blighted motors on the fleet, and it’s the 2CV that needs attention most urgently. Seeing as the MOT is due next month. I had considered taking Elly off the road and giving her a proper sort out, but the 2CVGB National is in Wales this year. And is combined with the 2CV 24-hour race. Which will include a track parade. I can’t not be in my 2CV! Here’s the most serious bit of rot. Not pretty. This is the area beneath the rear seat box. You can see surface rust setting in all over the place though. Much work to do. Hopefully that can be patched to get her through another MOT, meaning I can postpone the hard thinking for another year. Rot in the windscreen panel is at least not an MOT worry and while the rear light panel is simply falling apart, I don’t think it’s near anything particularly critical. Unless the rear lights fall off, and that doesn’t seem likely. Moving on to the Sirion, it’s both sills that need attention. The MOT tester last year was supremely cheeky, and simply stated that he couldn’t check the sills due to the plastic covers. That’s funny, as my non-MOT standard camera was very able to see the problem. I’m not sure what the tester’s defence is here. There is clearly enough sill visible to deduce that it’s entirely rotten! 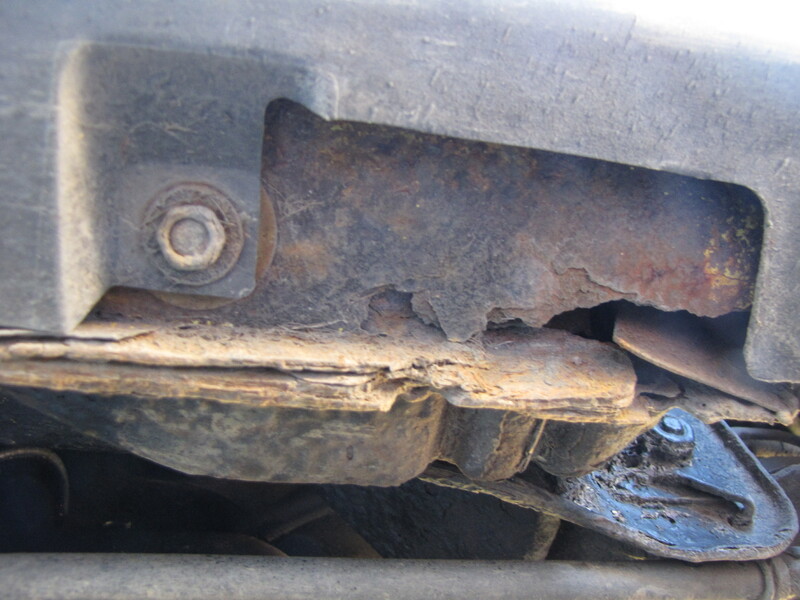 Fortunately, and rather incredibly, the sills still have enough strength for the car to be lifted by the four jacking points. This makes me hope that repair won’t be too tricky. It dos seem that it is just the outer skin that has perforated, though it’s almost certain that more rot will be discovered when the outer is removed. That’s just how it is. I did spend a good chunk of this morning rustproofing other areas of the Sirion though. It’s not as bad as I thought a while back. The MOT is up in July, so I’ve got more time to get that sorted. I did discover that the rear brake shoes are a bit low though, so that’ll be my next Sirion priority. Right. Now all I need to do is keep my excitement in check about tomorrow’s BX collection. Wish me luck!